Step-2: Install Asp.net ISAPI application in IIS. If you install IIS after installing Framework/Visual Studio, then you have to explicitly register Asp.net ISAPI. 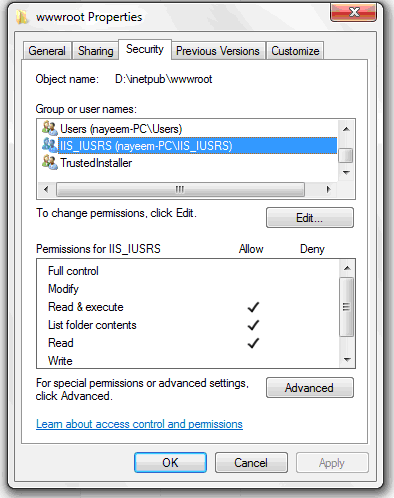 a) Right click on IIS/WebSite è Edit permissions è IIS_IUSER with Read & Execute permissions. 2) Create new Webapplication in etc. 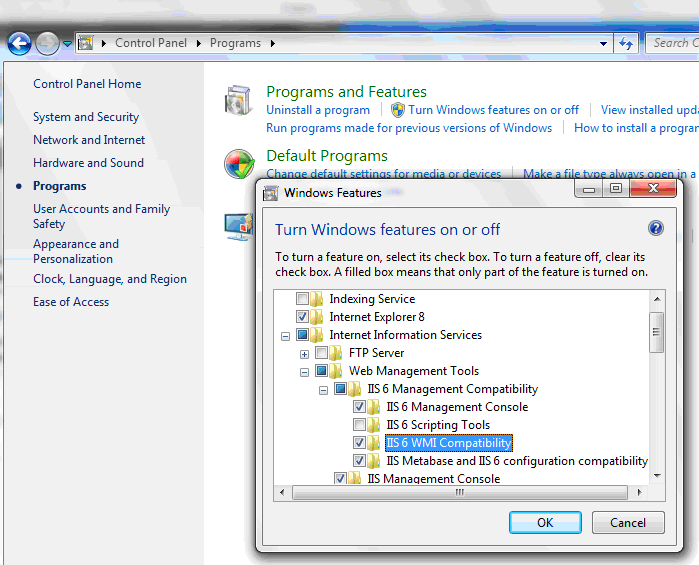 2) Checking whether IIS Management Console is installed or not. 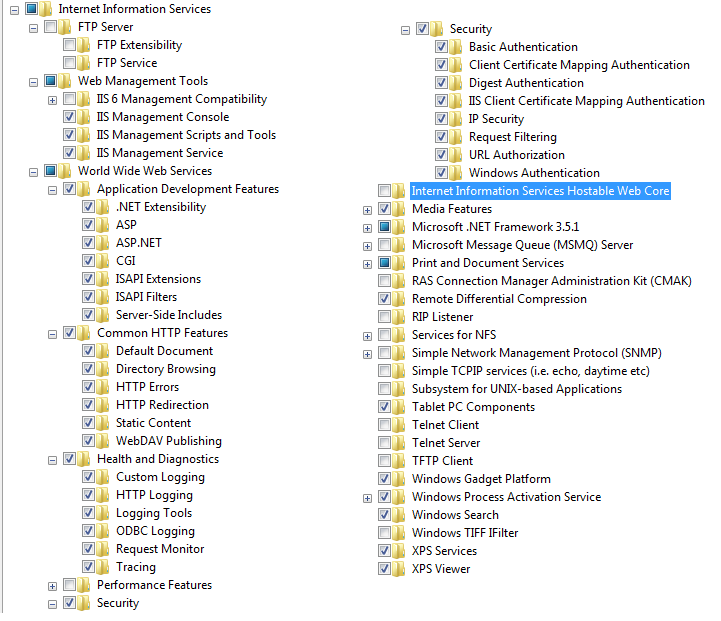 3) Checking whether Asp.Net is configured with IIS or not. Note: Run your VS in context of Administrator account.